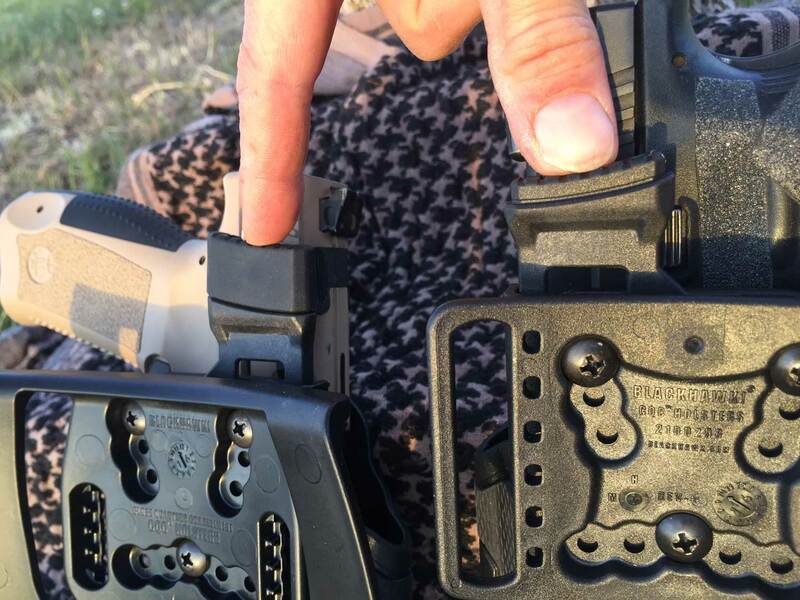 Not having the right holster is a problem often encountered by shooting enthusiasts and instructors. 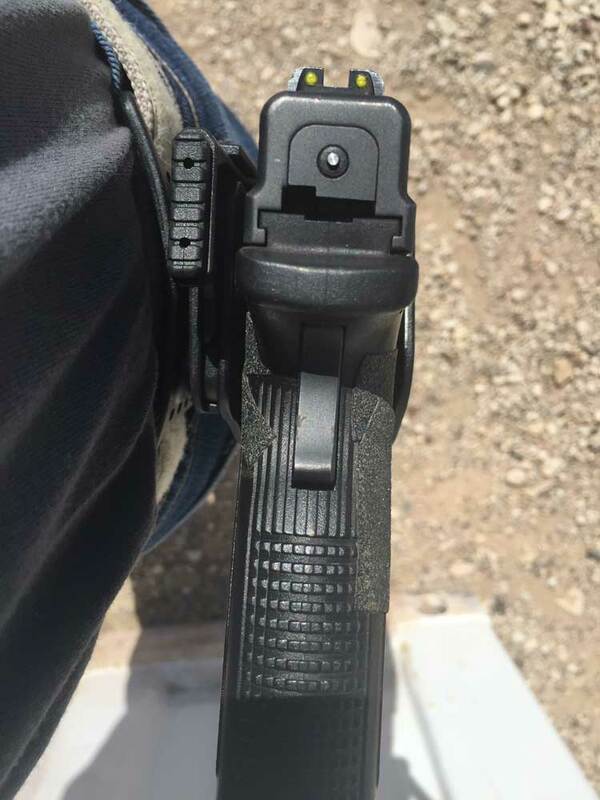 As an instructor, I often have students show up for defensive pistol classes wearing belt holsters that work fine as storage devices or for daily carry, but are insufficient and unsafe for serious training. 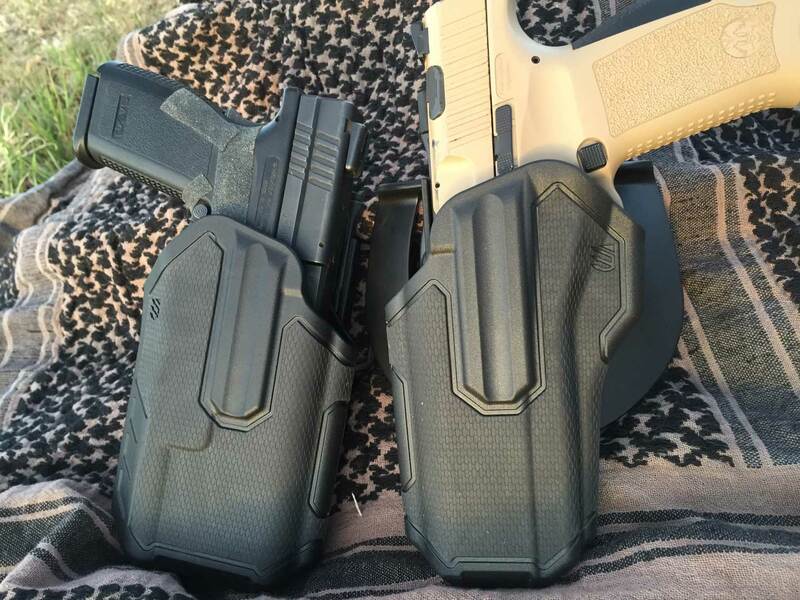 Many gun owners have a pistol or two that they’d like to use more, but don’t feel like spending the energy and money it takes to find the perfect holster for each gun. The Omnivore holster on the left accepts a light; the one on the right does not. 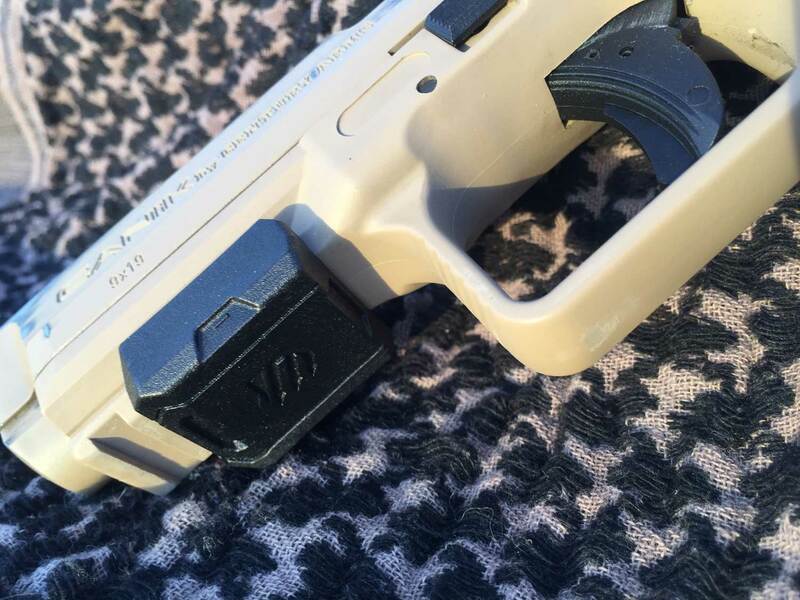 The Canik TP9 SA is wearing a rail-retention device here, a little tile that may need to be moved forward or back on the rail to achieve the right depth of the gun in the holster. The thumb pad retention release, as seen from above. 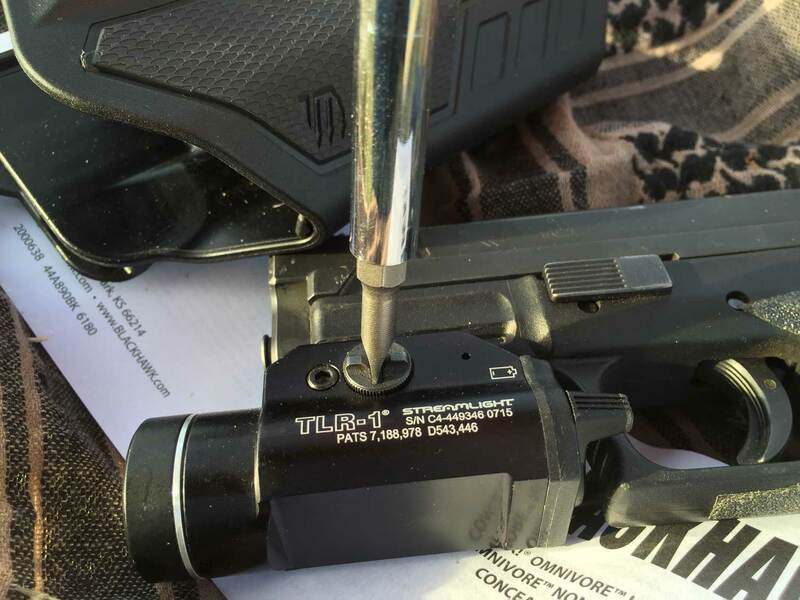 As an instructor, I am better prepared to ensure a positive and safe experience for pistol owners who show up for class with shoddy holsters.The rigid Omnivore, with its wide-open top, is quite ideal for shooters who are new to drawing and reholstering into a solid holster, one that doesn’t require risky fiddling from their non-shooting hand. While the initial setup isn’t fast, the Omnivore is a solid, safe choice for the range that should please a lot of folks. At $60, it’s priced very competitively in comparison to other custom-fit brands. By Eve Flanigan, Contributor, CheaperThanDirt.com Shooter’s Log. Used with permission.